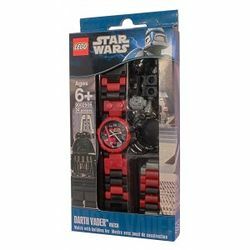 9002908 Darth Vader Watch is a Star Wars watch released in 2007. It includes a Darth Vader minifigure. This is a description taken from Legowatches.com. Do not modify it. (visit this item's product page) Prepare to feel the Force of the dark side! 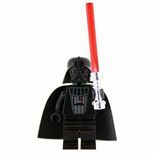 This fantastic new addition to the LEGO® Star Wars™ Galactic Empire will be a delight to any wearer. It was packaged in 2 different boxes. Facts about "9002908 Darth Vader Watch"
This page was last edited on 9 January 2016, at 22:32.